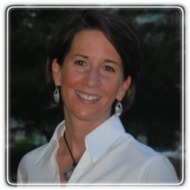 Wake Forest Therapist: Katherine Walker - Therapist 27587. Send A Message To Dr. Walker. I am a Licensed Professional Counselor specializing in individual and couples therapy, life / career / wellness coaching, biofeedback, and stress management and maintain a full-time private practice in Wake Forest. Additionally, I have a small private practice in North Raleigh at Carolina Performance located at the American Institute of Healthcare and Fitness campus. As a solution-focused therapist, my goal is to help you uncover your true potential and lead a life that is worth celebrating. While we can't change difficult situations of the past, we can work together to better understand and resolve challenges in your life. By applying complementary therapy approaches and techniques, we will unearth long-standing behavior patterns or negative perceptions that may be holding you back from experiencing a more fulfilling and meaningful life. Together we will work to identify goals, work towards reaching those goals, and work to improve resiliency, adaptability, assertiveness, and empowerment in your life, work, and relationships. Call or email me today to schedule your first appointment.